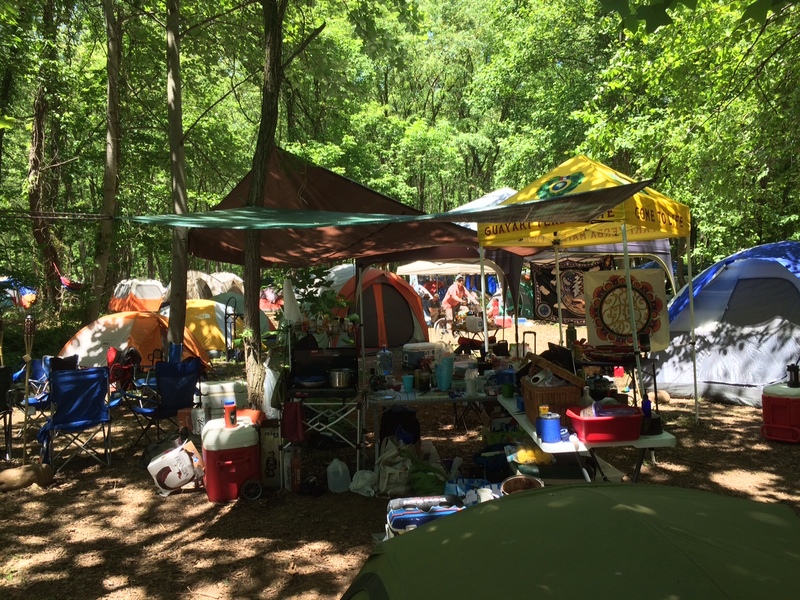 This was my third Delfest (May 21-24, 2015) and it proved to be just as soul satisfying as in previous years. 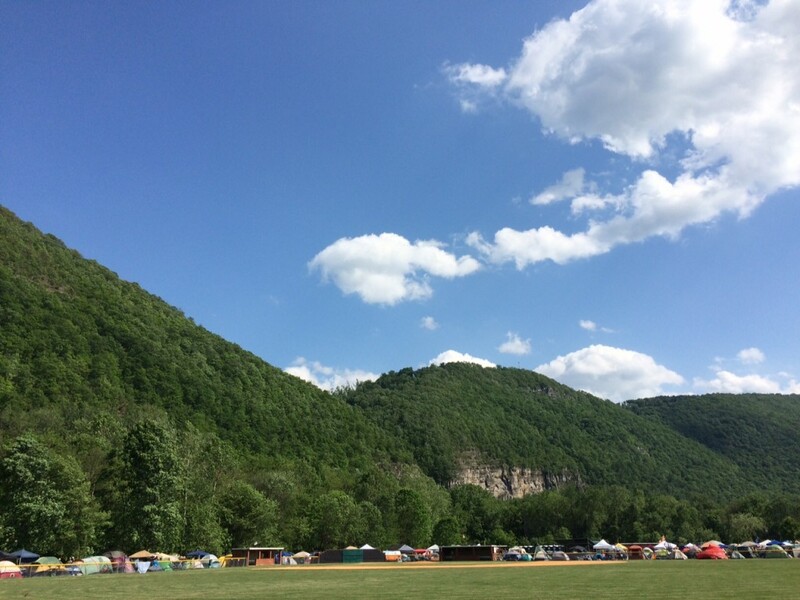 The festival grounds, at the Allegany County Fairgrounds in Cumberland, MD are bordered by the Potomac River and just beyond are the towering cliffs of West Virginia covered in green. 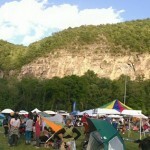 The huge cliffs reflect sound from the mainstage so that music can be heard far out into the campgrounds. It’s the most gorgeous festival site that I’ve experienced on the East coast. Thursday started out rainy, overcast and a bit chilly. The misty rain continued on and off through the night and the chill remained. 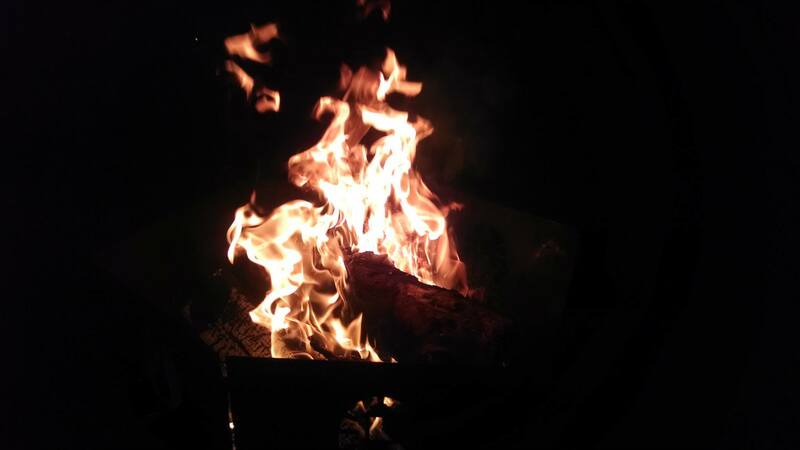 Fortunately, Delfest is one the few festivals that allows campfires so the cold and wet were tolerable. I arrived early, in time to hear the sweet sounds of The Del McCoury Band soundcheck. They played an appropriate rendition of Cold Rain and Snow and finished up with a tear jerking 1952 Vincent Black Lightning, satisfying an audience request. 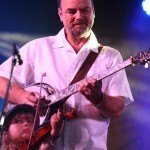 The McCoury’s are one of the most important family in Bluegrass. 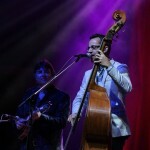 They continue to provide a venue, eight years running, for the country’s greatest bluegrass innovators, legends, aspiring musicians, and fans to gather and celebrate the truly American musical art of Bluegrass. It seems that the McCoury children are handed instruments almost as soon as they can walk. During the last couple songs of this set three year old Vassar McCoury, son of Rob McCoury (banjo), took the stage and stole the show with his pint sized cello turned upright bass. 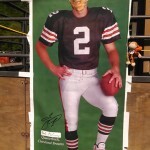 Delfest is a very family friendly festival. The Steep Canyon Rangers played later that evening and got the crowd moving with their fast paced picking and the high energy sawing by Nicky Sanders, the “dancing fiddler”. By the time their set finished Nicky’s bow was in shreds. They played a fun version of Low Rider. Greensky Bluegrass headlined the main stage Thursday night and sandwiched their set with a beautiful version of the Grateful Dead’s “Eyes of the World.” They’re a very versatile band. The sun came out on Friday and we didn’t see another drop of rain the whole weekend. 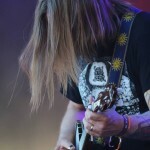 First up was The Larry Keel Experience on the main stage. It was a nice daytime set to soak up some sun and check out the vendors. He played an interesting version of Brown Eyed Women. 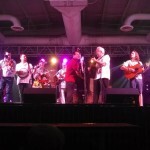 Town Mountain, a “Hard Drivin’ Carolina Bluegrass Band” played in the indoor Music Hall stage. 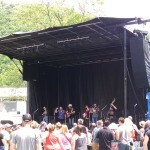 It was an enjoyable set of high energy bluegrass. 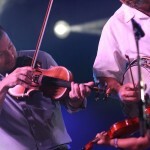 Jason Carter, of the Del McCoury Band, sat in with them for a triple fiddle Wheel Hoss. 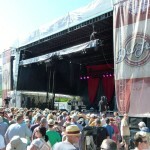 Back on the Main Stage, mandolin prodigy Sierra Hull played a beautiful solo set in the sunshine. She sings beautifully and has an artful hand with her instrument. At only 23, she is a renowned player and I’m sure we will see a lot more of her down the road. 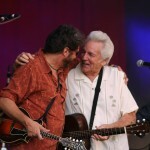 Later, the Del McCoury Band took the main stage once more to deliver those high lonesome songs we know and love. 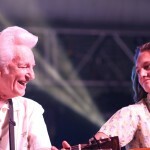 Del McCoury is the charming patriarch of the family band. He’s 76 years young and forgets the lyrics from time to time, but that’s part of the experience. He is very charismatic and the crowd gave him a rousing cheer of encouragement whenever he made a lyrical misstep. 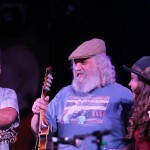 Sierra Hull and David Grisman both sat in for a few songs. I didn’t make it to the late night stage to see the Steep Canyon Rangers and Greensky Bluegrass tear it up once again. The late night music hall has limited capacity and the separate tickets for these shows almost always sell out. But that’s no problem at Delfest. There’s plenty of impromptu jams happening at campfires and at the centrally located gazebo. That night I stopped at the gazebo, surrounded by a large crowd of respectfully quiet people listening to some polished acoustic bluegrass from Maryland natives, The Plate Scrapers. Late night at Delfest is a great time to wander around and hear some amateur bluegrass and make some new friends. You never know what you’ll see or hear. On Saturday the weather started to really heat up but nothing that a quick dip in the icy Potomac river wouldn’t ease. 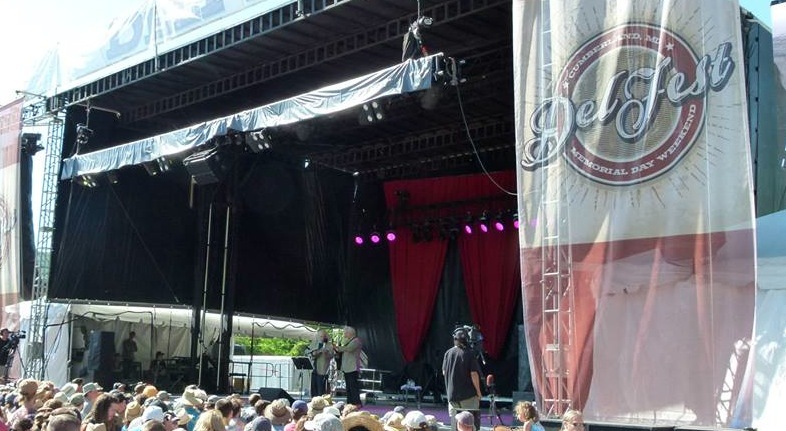 You’re never more than a few minutes walk from the river at Delfest. A popular activity is to walk upstream and enjoy a float down the river on a tube, air mattress, or whatever else is deemed seaworthy, hopping out next to the main stage or the campsites. 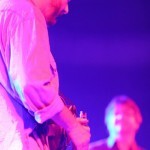 The much anticipated Del and Dawg set featuring the duo of Del McCoury and David Grisman was a personal favorite. 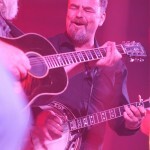 Both men have been extremely influential in bluegrass music and it was a treat to see them onstage together once more. 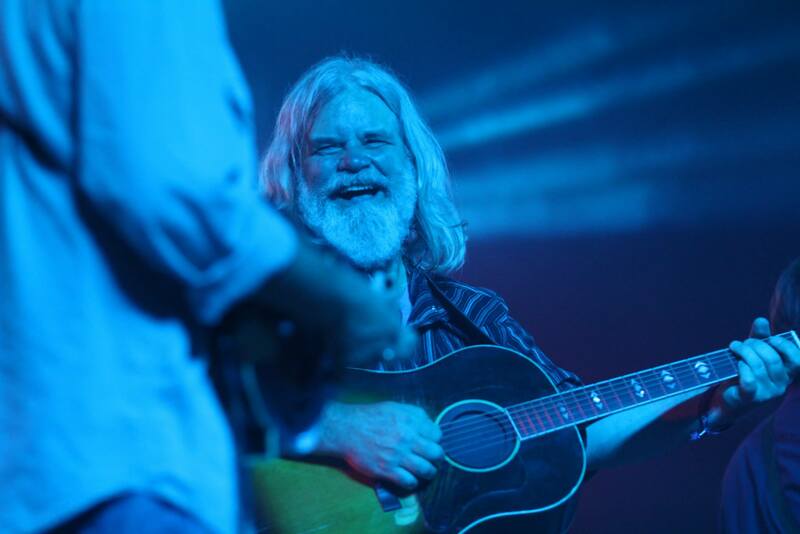 Listening to the set felt almost like a history lesson as Grisman recounted tales from years gone by. The Travelin’ McCourys headlined on the main stage that night showing once again their technical prowess as leaders in modern bluegrass. Without papa Del McCoury to take the lead, each of the other members got to take on the vocal duties and they delivered. Cody Kilby took over the guitar and his flatpicking was some of the most impressive I’ve ever heard. Truly awe inspiring musicians. 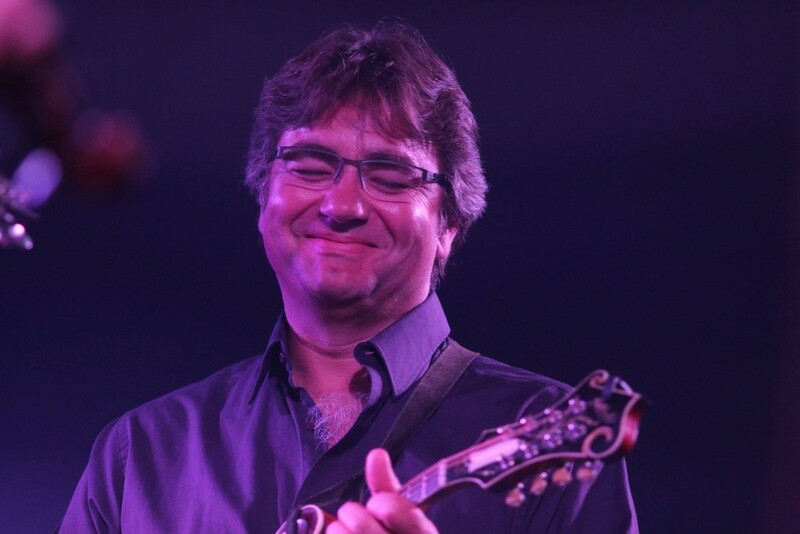 Fortunately, Ronnie McCoury (mandolin) has inherited Del’s voice so we’ll continue to hear that signature sound for many years to come. They played a touching version of the Grateful Dead’s “Loser” and Ronnie’s son Evan McCoury sat in for a few songs on guitar. Dead Winter Carpenters played the first late night set and got the crowd moving. They’re electric country sound is energizing and their lyrics are poignant. They’re led by the lovely Jenni Charles on fiddle and feature a drummer and electric guitars. 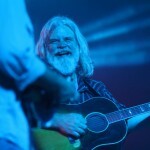 Then it was Leftover Salmon’s turn to close out the night in the Music Hall. 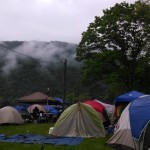 No strangers to Delfest, they led the party into the wee hours of the morning. 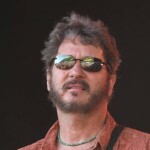 Bill Payne is now a permanent member of the band and he shined on a few Little Feat covers. 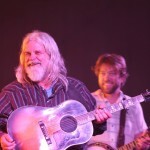 It was Drew Emmitt’s birthday and he was presented with a cake onstage as the whole audience sang happy birthday. 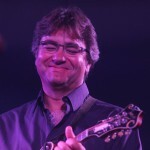 Ronnie McCoury, Rob McCoury, and Jason Carter all sat in for much of the show. Sunday was another warm and sunny day. Many people gravitated to the river and there were numerous camp chairs and ez ups set in the shallow water next to the campgrounds. It was a beautiful festival Sunday. 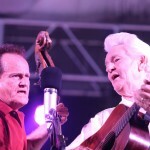 Hot Rize played in the heat of the day and treated the crowd to classics like “Nellie Kane” and “High on a Mountain.” Del and Ronnie McCoury sat in with them towards the end. 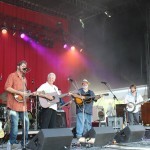 The Del McCoury Band played once again on the main stage and featured Roosevelt Collier on slide guitar. 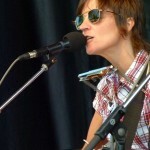 They played a number of Woody Guthrie songs that had never been heard before. The Guthrie family reached out to the McCourys to write music for lyrics that Woody had written years ago. They’re releasing an album with this music soon. 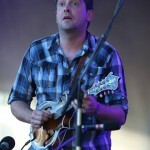 Late night on Sunday the Travelin McCourys once again took the stage to close out the festival. Wearing more casual clothes (Rob McCoury in a kilt), they picked a fine set of music that ended at nearly 4am. I love Delfest because it’s only festival I’ve ever been to where there’s bluegrass all night. Some of the most memorable musical moments happen between 1 and 3AM in the music hall. It’s a battle to stay awake each night to experience this magic but it’s well worth it. It’s difficult to fit it all in at Delfest. 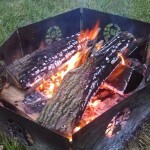 Among the music, catching up with old friends, playing in the river, playing kickball or frisbee, and exploring the campsites there’s really no time to get bored or to see it all. 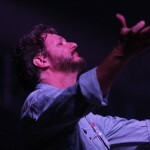 Each year has been a slightly different festival experience for me but each year I leave with a huge smile on my face and a renewed appreciation for bluegrass music.